Before his death, aged 89, Karbaat reportedly admitted to having fathered about 60 children in his time at the discredited clinic which closed in 2009 amid reports of irregularities. 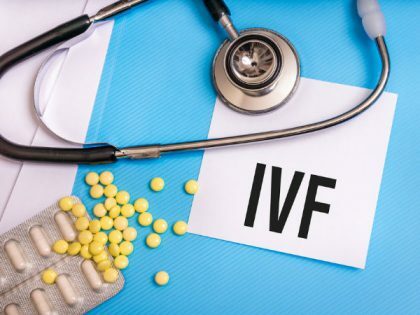 Hague: A Dutch doctor at the centre of an IVF scandal fathered at least 49 children, an organisation representing parents and children born through his now-closed clinic said recently. Jan Karbaat, who died in 2017, is the father of 49 children born after women visited his Rotterdam clinic where he used his own sperm instead of sperm from a chosen donor to inseminate them, Defence for Children said. Results of DNA tests conducted Friday at a hospital in the southeastern city of Nijmegen “showed that 49 children in the case are direct descendants of the late Karbaat,” the organisation said in a statement. “The results confirm serious suspicions that Karbaat used his own sperm at his clinic,” Defence for Children added. The controversial case became public after a Dutch court ruled in February that the results of Karbaat’s DNA test should be made available to parents and children to conduct their own comparisons. Karbaat later also admitted to mixing sperm from various donors and issuing fraudulent donor documentation, the Dutch daily newspaper NRC reported. The group of suspected “Karbaat children” dragged his family to court to force them to release Karbaat’s DNA profile, which was kept locked in a safe. The Karbaat family’s lawyers had argued that their clients’ right to privacy had to be respected. “However, with the judges agreeing to the paternity test, the judge placed the children’s rights above those of Karbaat and his family,” Defence for Children advisor Iara de Witte said. “Now, after years of uncertainty the plaintiffs can finally close a chapter and start processing the fact that they are one of Karbaat’s many descendants,” De Witte said. One of the children, Eric Lever, recently told the NRC newspaper he was “not angry with Karbaat.” “I don’t get the feeling that he cheated my mother,” he told the NRC paper. “She really wanted a child and could not have one with my parental father,” he said. The Defence for Children added it was likely that Karbaat sired even more donor children than the 49 revealed on Friday. “Sperm belonging to the late doctor was also distributed to other clinics,” Dutch news agency ANP quoted the organisation as saying. The organisation has appealed to anybody who may suspect that Karbaat was their donor father to apply to a Dutch database for DNA matching. Applicants can apply in writing to an official body called the FIOM, which maintains a DNA database to match children conceived via anonymous donors.